Call 732-598-7700 to see the homes in Union Beach or Union Beach homes for sale. Union Beach is a community located on the Raritan Bay. The beach front has undergone extensive restoration, and it offers a view of the New York City skyline and the Verrazanno-Narrows Bridge. Union Beach suffered a lot of damage during Hurricane Sandy. The borough is a participant in the Bayshore Regional Strategic Plan. This is an effort by nine municipalities in northern Monmouth County whose purpose is to reinvigorate the area’s economy by emphasizing the traditional downtown areas. Dining and shopping are nearby, and you can enjoy fishing and boating. 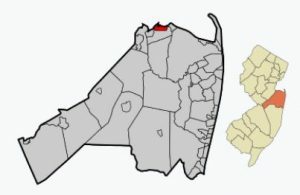 Many public golf courses are in Monmouth County, and you will also be close to Sandy Hook and the Jersey Shore! The homes for sale are in the lower price range. Many of the homes in Union Beach have had extensive rehabilitation since Hurricane Sandy. It’s not uncommon to see homes which were built in the early 1900s, and due to damage from Hurricane Sandy, many of these homes have been rebuilt. Union Beach’s School System has one school which educates public school students in pre-kindergarten through eighth grade. Students in grades nine through twelve will attend Keyport High School in Keyport. High school students may also decide to attend one of the schools in the Monmouth County Vocational School District, which offers career courses in the medical and science fields. Additionally courses are in computer science, Bio Technology and much more. Train service to Manhatten is available at the Hazlet train station, additionally the Sea Streak Ferry is a short drive away. Nearby are major roadways such as Route 34, Route 35, Route 36 and the Garden State Parkway.